Despite the name, LeFou’s Brew is a non-alcoholic beverage served at Gaston’s Tavern at Magic Kingdom. It’s frozen apple juice that also has a bit of a marshmallow flavor to it. 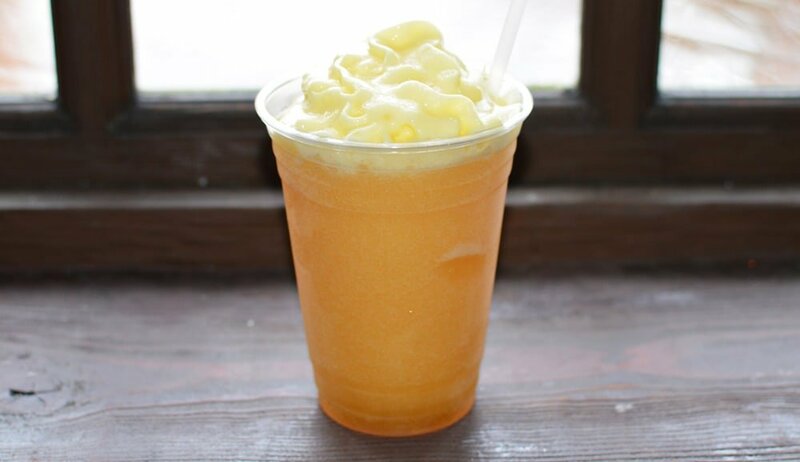 The apple juice is topped with a no-sugar-added mango-passion fruit foam. Because of the foam and the color of the frozen juice, the beverage looks like beer from a distance. You can purchase it with or without a souvenir stein—your choice!